More and more of our personal finance is becoming more infused with lines of credit. Your personal finances work in the same fashion; your hard earned money that you hand over with every paycheck over to your financial institution, becomes a line of credit in some form, either in debiting or crediting your checking account, or use of your personal credit cards when purchasing the things you want. But how does credit work? How can it affect you long term? Understanding credit, and how it can affect your life can allow you opportunities you might not have foreseen, and educate you beyond the myths of how it works. Credit cards are not the evil of the world, looking to tempt you into massive spending sprees and rack up mountains of debt. But rather are instruments if used correctly allow you to buy something on a basis of trust, where you can pay later. In essence a line of credit, is a line of trust, backed up b an annual percentage rate (APR) to guarantee you pay back the credit card issuer. But credit cards have a very important duty in the modern world, as they help you build a credit score, which if you get a higher score the better your rating will be. And with a better score, the better chance you’ll get to being able to apply for loans and opportunities for bigger and grander purchases during your lifetime (houses, boats, cars etc). Understanding on how credit cards work combined with self restraint in using your lines of credit, can help you achieve a better rating. 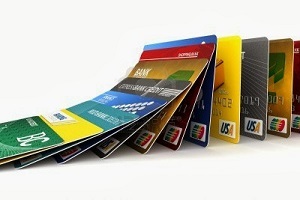 Multiple lines of long standing credit are not bad aspects of credit cards. As long as your credit card debt is below 30% of your total credit line limits, your credit score should be unaffected. Most people think that if they have multiple credit cards open, that this will reflect negatively on their score, but that is only true if you have outstanding debt on those multiple credit cards. In fact, having multiple lines of credit available to you, as in multiple credit cards, actually reflects better on your score, because what this is telling potential creditors, is that you not only can you be trusted with all of this credit, but that you can manage your spending habits and paying off your debt on time. Credit isn’t just extended via credit cards, but works in loans as well. Credit cards are in essence, the stepping stone to bigger lines of credit that can be used to purchase bigger items. Let’s say you are looking to buy a house that costs above $100,000. Unless you have that kind of money just lying around and can pay cash, then you are more likely to need to mortgage the house. Even if you have a decent paying job, and long standing full time employment, you still are unlikely to get a mortgage because of your lack of past credit. Now let’s imagine you don’t have and don’t want credit cards. Valid understanding, of wanting to live within your means without the temptation. So let’s say you want a new car, you do your research and find the perfect one for you. You put a down payment and finance it for five years. That financing is an auto loan through which you are gaining credit. If you pay it off early, your score will jump, and you may find yourself getting approved for bigger purchases. The only issue that would come of this scenario would be after paying off your loan, assuming you have no other debt, is that your credit history would become stagnant because you are not spending or paying anything off. The easiest way to look at building up for credit score, is not to take an extreme perspective on how credit works, or should exist in your life. Obtaining a credit card is not a bad thing. What is most important is understanding how to budget your finances and spending habits. Understanding that using credit cards or lines of credit as a tool to build your overall credit score so that you become a sought after customer, one whom pays off their debt in full or at least on time. The best advice I can give you is what I was given years ago; Only buy with your credit card what you have in cash. So if you want that HD TV, next gen gaming console, or brand new laptop, do it, but make sure you have the funding to do so. Don’t count on money you don’t have yet, and understand that the purpose of the credit card or line of credit to show others that you can be a trusted buyer, who pays off their debt on time, and is responsible with their money and spending habits. Stay Up-to-Date on How Credit Works by getting on our FREE eMail list!